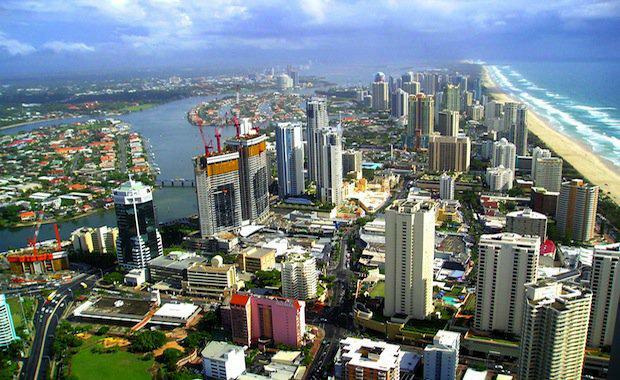 The growing Gold Coast property market is expected to reap the rewards during and after the 2018 Commonwealth Games according to a new report conducted by PRDnationwide. From the Athletes Village in Southport and sporting centres across Carrara, Coomera and Broadbeach to the organisation’s headquarters in Ashmore, the new infrastructure is expected to top $950 million and the data shows property values will steadily improve in the surrounding suburbs. “By looking at case studies of similar sporting event-related development in the greater Sydney and Melbourne regions surrounding past Games – 2000 Olympic Games and 2006 Commonwealth Games, respectively, we were able to forecast how the Gold Coast property market will be impacted not only prior to and during the year of the Games, but also in the years following the Games,” PRDnationwide National Research Manager Dr Diaswati Mardiasmo said. One of the largest sporting events hosted by Australia, The 2000 Sydney Olympic Games, required one of the largest recreational, cultural and residential developments in Sydney's history; with the total cost of the games estimated at $6.6 billion. The location for the development was an under-utilised site 25km from the CBD, which now remains a leading sporting and cultural centre for the city. The Athletes Village was built on its own separate, exclusively residential site neighbouring the Olympic Park. After the event, the athletes’ accommodation was reconfigured to offer nearly 900 townhouses and 700 apartments to be offered to the public. The development proved successful with first home buyers due to the affordability of the area. This led to a surge in transaction activity in the area, with Newington and surrounding suburbs sales numbers rising nearly 58 per cent from 2000 to 2001. Since then, the Athletes Village development has played the largest role in the area’s growth. As recent as 2011, 561 residential sales were recorded by the Olympic Park Authority. In 2006 Melbourne played host to the Commonwealth Games. Much like the upcoming 2018 Commonwealth Games, new and upgraded sporting infrastructure was scattered throughout the city rather than having a specific centre for activity. The Athletes Village was constructed in the established suburb of Parkville around 3km from the CBD, with plans to execute construction in two phases and create a new residential pocket after the Commonwealth Games. The high demand and undersupply of property in the area led to a successful development, with transactions rising over 33 per cent in Parkville and the surrounding suburbs between2006 to 2007. Growth in the area increased at a combined rate of 9.52 per cent over the two years after the 2006 Commonwealth Games. “What this research proves is that Commonwealth Games developments have had a positive impact on the property market of the suburb and its surrounds, both during the year of the Games and long after the Games have finished,” Dr Mardiasmo said. “The central suburbs of Southport and Ashmore have been some of the strongest performers witnessing combined average growth of 11.0% and 10.2%, respectively,” Dr Mardiasmo said. The recent growth is expected to continue through to 2018 and beyond thanks to overall improvement in market conditions as well as the infrastructure and publicity the Gold Coast will receive due to the Commonwealth Games.